What made you decide to become a children's book book author? In graduate school I started making letterpress books, like Dora Skale in my picture book, Dora’s Book. I like being able to add text and story to my images. After I finished my MFA in printmaking, I started to think about more about stories and images. That led me right to picture books. Many young readers don't realize the illustrations to a picture book aren't added until an author has already written the story. Tell us what it is like to finally see the illustrations added to your work. I have illustrated many of my own picture books, so it’s always a surprise for me to see how someone else illustrates my characters and stories. Sometimes it shakes my vision. Sometimes, like in Max Makes a Cake, it thrills me. I love the way Charles Santosos captured Max’s spirit and personality. Have you ever made an unusual cake like Max and what was it like? I do like to experiment in the kitchen. And like Max, I am a major fan of frosting. The most unusual cake I ever made was one I had to rescue with frosting. The cake was birthday cake for my husband. I was impatient and took it out of the pan before it had cooled. The cake fell apart, so I glued it back together with frosting. Because it had a very rough and crumbly look, I used M and M’s to decorate it. Did you pattern any of the characters in Max Makes a Cake after anyone you know? Tell us a little bit about how your characters are formed.Max is a spunky, confident can-do kid. He and my three daughters are very much a kindred spirits. My characters are usually what drives my stories. I spend a lot of time thinking about them. 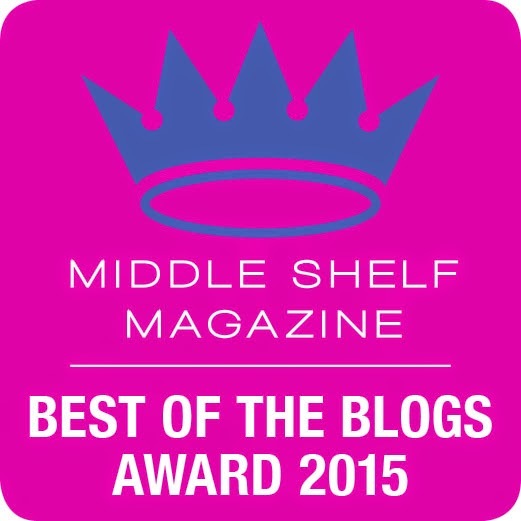 What is the hardest part of being a children's book author? For me, I think the hardest part of being a children’s book author and illustrator the waiting. Waiting for a publisher to buy my story. Waiting for a an editor to respond to my revision. Waiting for the book to be published, available and reviewed. Creating. I love being in my studio and playing with ideas. The early stages when all that matters is that I show up, ready to play. How often do you write and how long did it take to get your first book published? Who are some of your favorite children's book authors? Do you get inspiration from any of them? There are so many authors and illustrators I admire. I’ll name just a few of my favorites: Vera B.Williams, Maira Kalman, E.B. White and Katherine Applegate. They inspire me everyday. I study their books. Sometimes I even type them up – that way I get close to how the books works word by word. Michelle Edwards is the author and illustrator of many books for children, one book for adults, and nearly one hundred essays and cards for knitters. Her picture book titles include Chicken Man, winner of the National Jewish Book Award. Michelle lives in Iowa City, Iowa, with her husband, a house full of books, yarn, and the artifacts of their three daughter's childhoods. Her next picture book, A Hat for Mrs. Goldman will be published in 2016 by Schwartz and Wade and illustrated by Brian Karas. Thank you to Michelle Edwards for taking the time to to an author interview with me. I love meeting the authors of the books I review. It makes me appreciate what goes into the writing process. 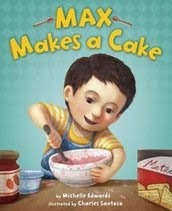 Check out my book review of Max Makes a Cake HERE.